MILWAUKEE – (March 19, 2018) – Johnson Controls introduces C•CURE 9000 v2.70 from Software House, one of the industry’s most powerful security management systems providing 24x7 mission critical security and safety protection for people, buildings and assets. This new version provides up-to-date capabilities and technologies that enable security departments to meet the changing requirements of corporate facility protection. C•CURE 9000 v2.70 provides security staff with a consistent, standardized approach to meet critical access control and visitor management needs for enterprises adopting agile workplace strategies. C•CURE 9000 v2.70 makes obtaining access clearances faster and less prone to errors, with a consistent process. A card holder can now request access to a space and that request is directed to the correct personnel for approval, replacing long email chains and long response times common for access approvals. The system provides a complete audit trail of the approval or decline of the clearance for compliance purposes all natively within C•CURE 9000. Enhanced visitor management capabilities within C•CURE 9000 are designed to reduce reception desk workload and speed visitor processing. New in v2.70 is the addition of visitor badge printing from the self check-in kiosk, group add which easily allows users to add a group of visitors for events, classes and conferences, and new host instructions. To increase the safety and security of a site, internal watchlists have been added for personnel and visitor management. In addition, an assistance button is now available for personnel to send an alert to the security team with one click to help provide a quick response to visitor or other personnel issues. Other features of C•CURE 9000 v2.70 include enhancements to C•CURE Web with support for Swipe and Show, which visually confirms a card holder with a picture in their record to reduce identity theft and social engineering attacks. This allows users to increase security using any web-enabled workstation or mobile device with C•CURE 9000. New in v2.70 are active templates that make sharing and updating information easier and an “in query” feature for journal and audit triggers and fast download prioritization for updates to iSTAR door controllers. 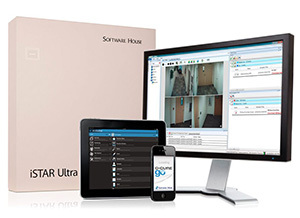 Software House designs the C•CURE 9000 and iSTAR controllers together to protect your organization. To get the maximum benefit from this new C•CURE 9000 release, Software House recommends also updating your iSTAR controller to firmware version 6.5.X. C•CURE 9000 users on a valid software support agreement can upgrade to v2.70 at no additional charge. For more information on the latest version of C•CURE 9000, please visit www.swhouse.com.